Some homes are now filled with dozens of appliances, devices and children’s toys which can be connected to Wi-Fi and some are useful while others are just for fun, but if they are not fully secure the consequences can be unpleasant . Often set with a default password or no password, these devices can provide an easy route for cyber attackers to get into your systems and look for confidential information. 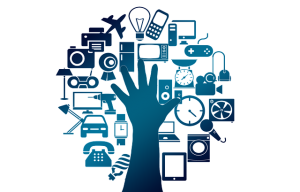 The “Internet of Things” is a name for the adoption of Internet enabled devices in the home. The idea being that more and more household objects will communicate over the Internet. Common such items now include thermostats controlled by an APP, smoke alarms that phone you, toys that access Internet stories and music, the Alexa and Google Home devices that you can say instructions to and they use WI-FI to control other devices or find information or translate something. This also includes Internet-connected “wearable” devices, such as fitness bands which upload your GPS co-ordinates and telemetry to the Internet so you can access the data on your PC. Many companies are working on more of these Internet of things devices. These devices can give out information to interlopers that you may not consider e.g. the recent case of American Special Forces soldier wearing fitness bands and their location being broadcast on Google. OOPS. Secure the wireless network. Use the WPA2 protocol if your broadband router allows that option. Give your Wi-Fi network an unusual name that doesn’t identify your address e.g. General Electric. If guest access is enabled on the network – disable it. If your router is capable of creating two separate WI-FI networks then use one for computer devices and a separate one for household gadgets. Always use strong passwords that cannot possibly be guessed by anyone e.g. a string of random words. Login name is often admin or administrator by default – If you are able to change the login name then change it to something that cannot be guessed. Disable any remote access for gadgets. If you ever need it for allowing the supplier to fix a fault then you can re-enable it temporarily. Some of these gadgets have appropriate Internet security and insist on strong passwords etc. but others have little or no thought of security, so you must take care to plug any holes in security.